My favorite part of the holiday season is most definitely the food. As a poor person living in New York City without access to an adequate kitchen, spice rack, or more than one pan, most of my meals consist of Ramen noodles and peanut butter. (Don’t worry; not necessarily together!) So I’m always pleased when Thanksgiving and Christmas roll around. Not only am I able to meet with family and friends, I am able to sit down to a great meal without much taken out of my paycheck. 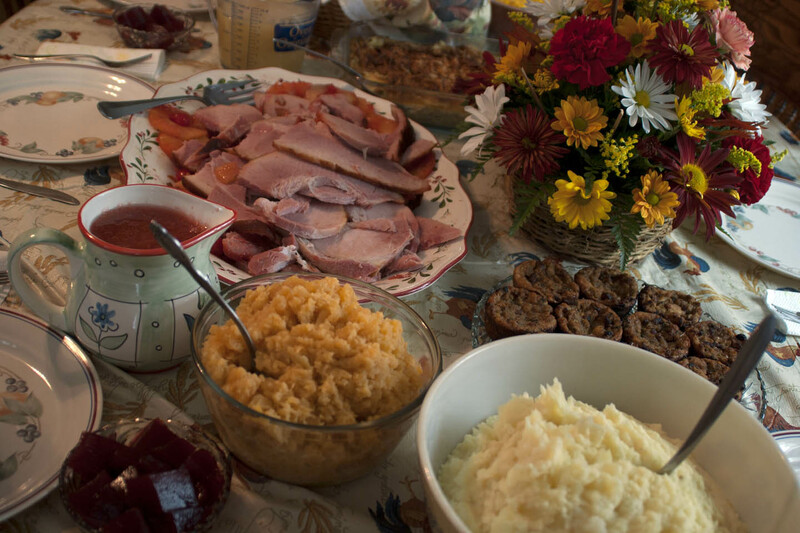 This Thanksgiving, my mother and I stuffed ourselves with stuffing and more. We had all the traditional *stuff* (sorry, I’ll stop with the stuffing repetition): turkey, cranberry sauce, mashed potatoes, veggie casserole, and pumpkin pie for desert. 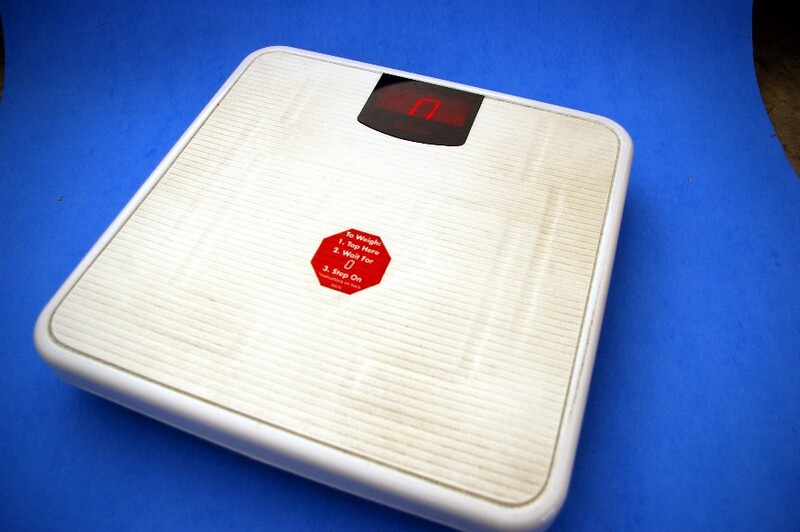 It’s a common fact that people gain more weight over the holidays. Conveniently, the next holiday is New Year’s Eve, when they resolve to shed pounds for the coming year. But is there a way to avoid the holiday weight gain in the first place, while also enjoying your favorite traditional foods? Of course! The answer is simple (you just have to motivate yourself): exercise. New York City offers a myriad of ways to get your daily dose of Vitamin Ex. You can take a jog in Central Park. You can go rowing on the Hudson River. You can take a yoga class! Head down to Bikram Yoga Manhattan at any of their locations in Chelsea, Soho, or Greenwich Village. Unlike many other forms of exercise, yoga benefits both the body and the mind. If yoga doesn’t interest you (or if you consider yourself too masculine to don those tight yoga pants), then consider joining a fitness club. Fitness clubs offer a social setting where you can also shed pounds. Considering becoming part of Synergy Fitness Club, who’s motto is: “One Life. Live Well.” They offer classes in boxing, martial arts, aerobics, and so much more. As you can see, there are so many ways to get fit this holiday season (while also scoring a great deal with these coupons!) Now you can sit down to that big meal guilt-free. Go on, take another piece of mom’s home-made apple pie. You won’t get another slice until next season! 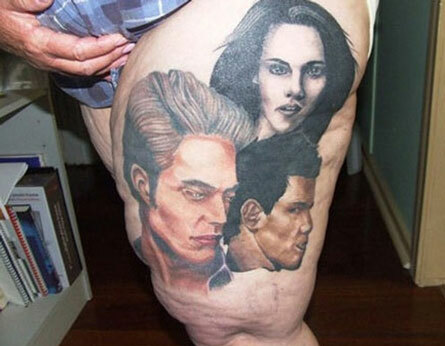 I saw the new Twilight movie yesterday with my mother and two teenage brothers (a mistake), and I can confidently say that it was the worst movie I’ve ever paid money to sit through. And I don’t think it’s the filmmakers’ fault. The storyline is just… so offensively and violently weird that it’s almost to difficult to stomach. Almost. While my eighteen and fifteen year-old brothers groaned and writhed in pain throughout the entire film, nobody got up and left (though there were threats). When the two hours finally ended, we walked into the sunlight, blinking gratefully, completely unable to find the words to describe what we’d just seen. Breaking Dawn: Part One opens with the ever-bland Bella rejecting a pair of truly gorgeous shoes because she’s above learning to walk in heels for her wedding. As something of a shoe-freak and heel-lover, this made me audibly scoff over and over. I was essentially infuriated from minute 1. They were such pretty shoes, white with silver detailing, and REALLY BELLA? Can’t stoop to such a materialistic level and class it up at YOUR WEDDING? Ugh. Anyway. It’s time for The Wedding. Bella’s dressed in a Star Trek Next Generation-type shiny skintight number with a very pretty hairdo. Edward looks like a wax figure that’s been airbrushed. Every guest got the memo to wear neutral golds and lavenders, and there are flowers everywhere. It’s very pretty to behold, and it’s over-the-top-ness prompts some great banter from the adorable and witty Anna Kendrick et al, Bella’s high school friends who are in the same boat with me on the ridiculousness of the scene. And THANK THE LORD that some characters seem wise to the craziness of the storyline: Bella is marrying at eighteen years old in a ceremony more elaborate than Kim and Kris and Kate and Wills’ combined. There are a few tender moments between Bella and her dad that really get the waterworks going (my mom was like a hosepipe throughout the entire scene), a vomit-inducing five-minute long make-out scene at the altar, and some fairly cute toasts at the reception. Everything seems to be going perfectly until Preteen Werewolf Jacob shows up, eliciting heavy amounts of cheers and sighs from the group of middle school girls in the row in front of us. Jacob decided to make an appearance at the wedding even though he’s all depressed because he’s in love with Bella too (again, WHY?) and proceeds to get WEREWOLF ANGRY when she informs him that she and Edward are planning to consummate their marriage on their honeymoon. 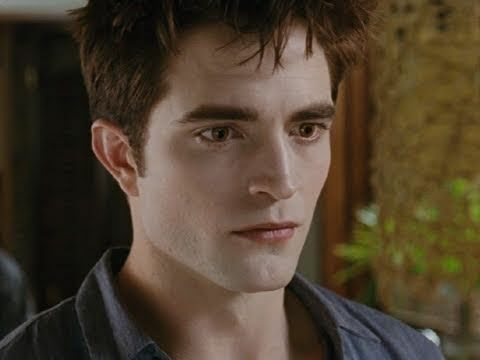 He hulks out and turns into a wolf and runs away, and Edward had to pick up the pieces. It is at this point that I realized Bella was wearing white sneakers under her wedding gown, and I became about as angry as Jacob. Bella and Edward go off on their honeymoon via private jet to a pretty large island that the vampires just seem to own. Edward and Bella finally Do It and apparently it’s great for her but his super-vampire-strength causes him to break the bed and bruise her up a bit. I’m actually not sure because I was pretty focused on covering my baby brother’s eyes, but folks, it ain’t much to write home about. Edward doesn’t want to Do It with Bella anymore because of the bruises, so for the next few minutes the audience is treated to a montage of Bella attempting to seduce Edward whilst engaging in honeymoon-type activities like cliff diving and chess. Her wardrobe is splendid, and Edward looks more handsome than creepy despite the glittering skin. And then, in the plot twist of the century, we discover that Bella is With Child. Enter the awkward political debate. I don’t even want to get into all of that because there are so many seriously-skewed messages being sent by this plot line, but Bella makes her own choice to keep her Vampire Fetus, and Edward is enraged. Cut to two weeks, and Bella is so gross-looking I almost barfed. They’ve really outdone themselves in making her look awful, and her pregnant belly is covered in bruises because apparently the Vampire Fetus is as strong as Edward. There’s a lot of discussion between werewolf and vampire alike about terminating the Vampire Fetus, but Bella will not hear of it and there’s a lot of anger and wolf-fighting and hilarious stuff that made me laugh. Whatever. Bella finds out she’ll probably die because the Fetus is taking all of her nutrients, and somehow it’s decided that she should drink some O- out of a sippy-cup. IT’S SO GROSS. She’s all skinny and the blood is in her teeth and I DON’T KNOW WHY I PAID TO SEE THIS. So Bella’s chugging blood at this point and she and Edward are starting to get excited at the prospect of their Vampire Baby. Thanksgiving is just around the corner, and the majority of you will probably be going home for the holiday weekend. Some of you may be lucky enough to have a family member or friend drive you back. For the rest of you, though, you probably have to deal with this. 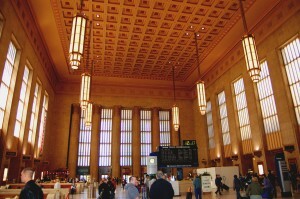 Philadelphia's 30th Street Station. Note the number of people at the bottom of the picture. Whether you’re from Jersey or Kansas, you will probably have to deal with transportation like this. And this isn’t like the subway, either: here you’ll be on the rail or the road from one hour to 20. It’s a long trip, but if you follow some of these tips, you’ll get though it relatively painless. First, plan your trip ahead of time. You may know how long it takes to drive from college to home, but it’s probably a lot different on a bus or a train. Amtrak and Greyhound have trip planner services on their websites, which tell you the approximate time that you will arrive at your destination. Put in the appropriate times and see how long it will take, and when your ride is going to leave. If you have to leave during a time you have class, make sure to notify your teacher ahead of time. Second, make sure you can afford it. New Jersey Transit and the Metro North are both relatively inexpensive, and the most you’ll pay with them is around $20. 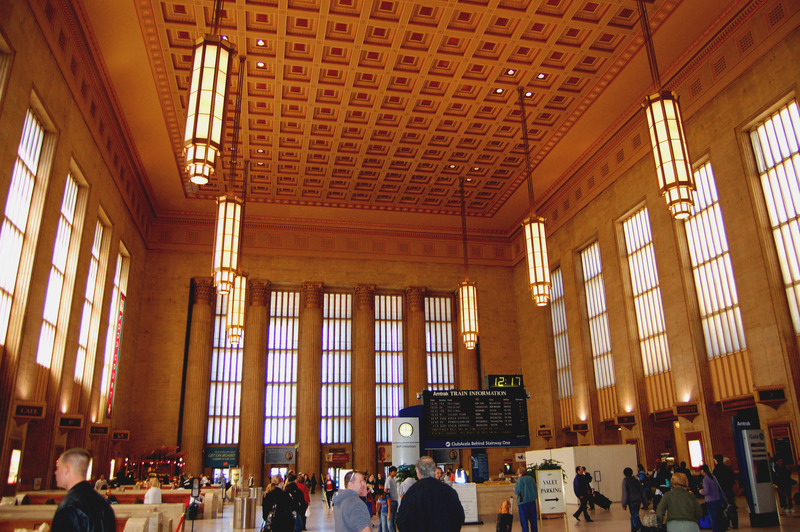 However, if you’re taking Amtrak, you’ll pay a lot more. Depending on where you’re getting off, tickets can cost upwards of around $30 each way. It’s never a good idea to spend all your money on a train ticket, so make sure there is some way you can pay for it and still have enough for yourself. Amtrak also offers student discounts for holders of the Student Advantage card and other services, so be sure to check that out. Some trains may make scheduled stops, at which point you might be able to walk to the station to grab some food or use the restroom. 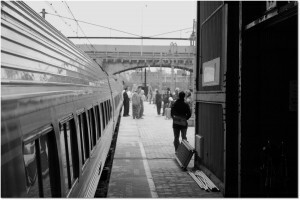 Ask a conductor when the train is about to depart, and whether or not you'll be able to walk off the platform and get back on before the train leaves. Finally, plan out what you’re gonna do in transit. If you’re forced to take the Amtrak or Greyhound, chances are you live pretty far away. 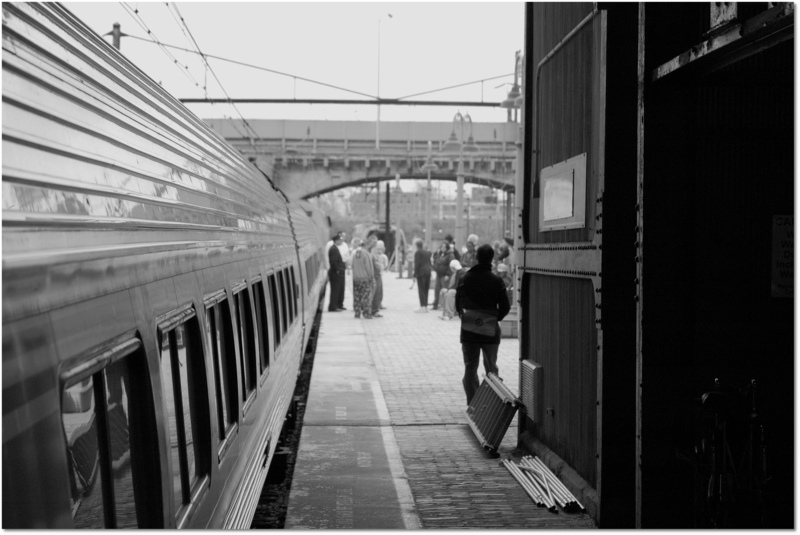 Don’t pack too much stuff, as trains and buses don’t usually have much in the way of storage. Pack a small backpack or tote bag full of a few trip essentials, like books, an iPod, and maybe a few snacks. Trains and buses sometimes make scheduled stops to transfer crew or drivers, so you might be able to take advantage of those instances. Just remember; there may be a bathroom on the train, but it’s what you expect a bathroom on a moving platform to be like. You might be able to take a quick nap until you reach your destination, but just be prepared to have some wicked neck pains! I probably should have included this in the last few points, but please make sure that you have someone to pick you up when you reach your destination. It’s really not fun when you have to wait at a bus stop for an hour because you didn’t let your parents know when you’re about to get off! Follow these steps, and you may very well have a pleasant trip. And when you get back, you can enjoy a nice slice of pizza! Whoever said dating in college was easy was truly and completely mistaken. Dating in college is like attempting to roller-skate on gravel: irritating, disorienting, and uncomfortable… and you’re probably drunk, so you fall a lot and make a fool of yourself. Not the best way to form a meaningful and loving relationship. Like all things, dating takes practice. You learn to power through the awkwardness and develop party tricks to impress your potential fling. And while no one’s love life is perfect, it does seem that the college lifestyle does not facilitate easy bonding. For example, my dear friend Zoe has recently come to the exciting realization that she has a big crush on a good friend, Lloyd. True to form, I did a little impressively subtle digging and learned that he, too, is harboring feelings for her that are more than platonic. As my behavior had already been pretty juvenile, I decided to simply share my new-found information with Zoe and let her take the reigns on her romance. So far, it has been unsuccessful. Zoe doesn’t want to have her first romantic moment with Lloyd under the influence or in a social setting, and Lloyd hasn’t yet made a move. And it prompts me to wonder: do we ruin our relationships by setting conditions on them? In the case of Zoe and Lloyd, I think the problem is that they both want their romance to be perfect. It’s become a ridiculous ticking time bomb; they both know they like one another and are aware of the other’s feelings, yet no “moves” are being made. 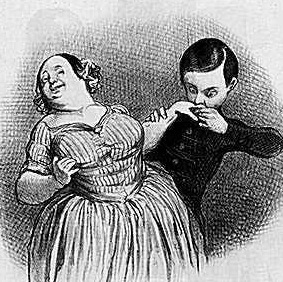 I can’t claim to be an expert on dating; indeed I’ve had my fair share of snags in the realm of romance, but I believe a potential romance can be squelched by too much pressure. 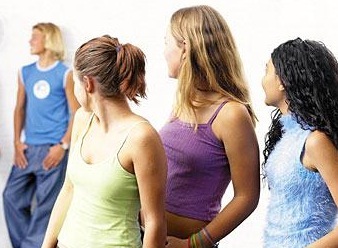 We like other people so much that we want our relationship with them to run as smoothly as possible. But in college, our lives are hectic and we’re having fun and enjoying ourselves and we can’t expect our love lives to remain clean and simple. You have to embrace the madness because if you’re pursuing another person as a romantic prospect, your life will only get crazier. So if you like someone, call them. If you want to see someone, see them. And if you feel like kissing them, kiss them! We’re young, we’re having fun, and we don’t need to waste time playing texting games or waiting for a phone call. If there’s one thing I’ve learned from my crazy life, it’s that I don’t need any more drama in it. But when I’m feeling super down about the state (or lack thereof) of my romantic life, I always find it best to pamper myself extravagantly and with little regard to my bank account status. That’s why I’m so lucky the Campus Clipper offers great deals for students on tons of different health and beauty services. 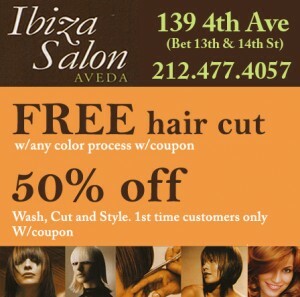 A new haircut at 50% off from Ibiza Salon will help give any guy or gal the confidence to get out there. Do you enjoy writing? It may be fiction or non-fiction, poetry or informative articles. Maybe you write on a Mac laptop in your Brooklyn apartment. Maybe you head to Starbucks and sip a latte while you type. Or maybe you jot your thoughts in a worn notebook while you sit in Central Park. Whatever the subject matter and no matter where you write, you’ve probably had dreams of being published. Only ten years ago, getting published was a difficult dream to accomplish. Your only real avenue was contacting a publishing house and printing through the traditional system. But publishing houses, (then as now), rejected thousands upon thousands of submissions each year. Your chance of catching an editor’s eye was slim, especially if you were a first-time author. But now, thanks to computers and advancing technology, almost anyone can get published. Self-publishing companies, such as Lulu.com and CreateSpace.com (a part of Amazon.com) abound. A pro of self-publishing is that you can see your book in print without going through an editor (and facing rejection by many of them). A con of self-publishing is the “self” part. There’s no one to help you through the process, make editing suggestions, or create a book cover. So how do you go about publishing on your own? Maybe you’re wondering if there’s a manual to consult. I’d like to recommend an e-book I wrote and self-published myself. It’s entitled A Step-by-Step Guideline to Writing and Publishing a Book and is available for download right here for only $4.99. I am an experienced self-publisher myself, so I can guide you through the entire process, from writing your first draft, to getting your book into bookstores. Download a copy today! Did you know that the Campus Clipper also self-published their own book? It’s entitled NYC Student Guide, and is an indispensable guideline for all students trying to make their own way in NYC. It includes informative, fun-to-read articles on college romance, roommates, studying, and more. Check it out here and order a copy! And if you’re into writing, you’re most likely into reading, too. Check out Shakespeare and Co. Booksellers! As an independent bookstore, Shakespeare and Co. offers a comfy, intimate feel. But they also offer a wide selection of titles, and textbooks as well. 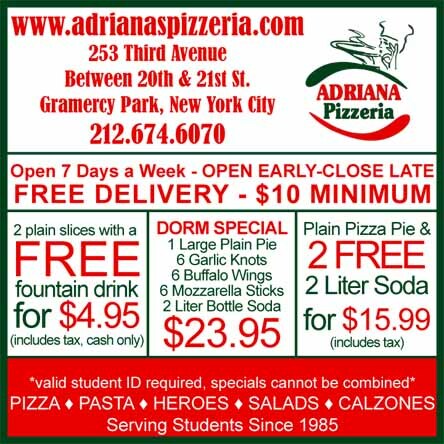 Come by any of their locations, such as 939 Lexington Ave, 716 Broadway, or 150 Campus Road in Brooklyn. Or buy online at www.shakeandco.com. And who knows? Maybe you will see your own book on their shelves when you become a self-published author. 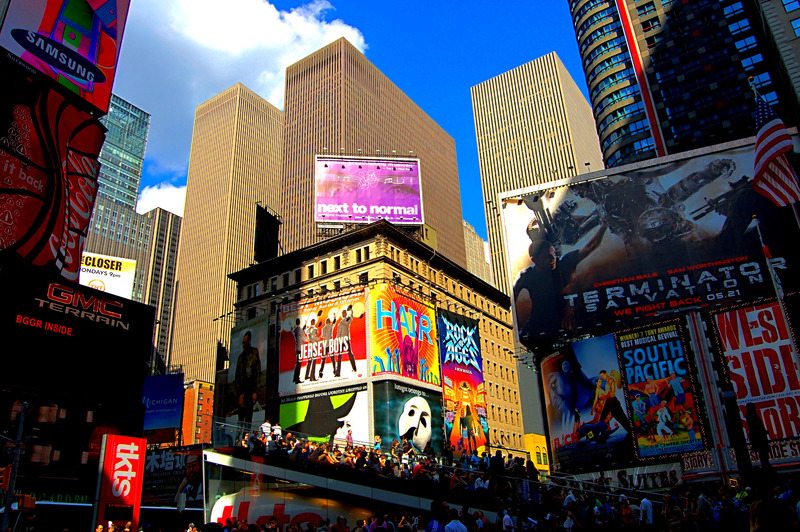 One great thing about going to school in New York is that there are a lot of opportunities to start your job search. With millions of multinational companies calling Manhattan home, more and more of them are looking towards colleges and universities for graduates to fill entry-level positions. The problem is, this is one of the most competitive cities in the world, so you have to make yourself known early. How do you do so? Through an internship. I hope I don’t have to explain what an internship is…but I will anyway. An internship is a way for companies to both obtain more assistance in various tasks and teach students how things work in the field. Through an internship, students can make a lot of new connections, and it’s a great opportunity to fill their resumes. The interns’ tasks vary depending on where they’re interning and what they’re doing there. They can range from getting copies and coffee, to hands-on work in the field. Most interns are part-time, since they usually have to attend school at the same time. They can be either paid a weekly or monthly stipend, or receive college credit for their work. So, where do you find an internship? Where DON’T you find an internship? As I said before, several companies in New York are looking for new blood, so be sure to check out sites like LinkedIn, Craigslist, and Monster for listings. One of the best is internships.com, which is catered specifically to this. Most schools also have their own online employment sites. For instance, NYU has the Wasserman Center website. If you really know what you want to do after graduation, take a look at specific organizations that cater to your interests. Study politics? Look at the UN or State Government sites. Want to write for television? 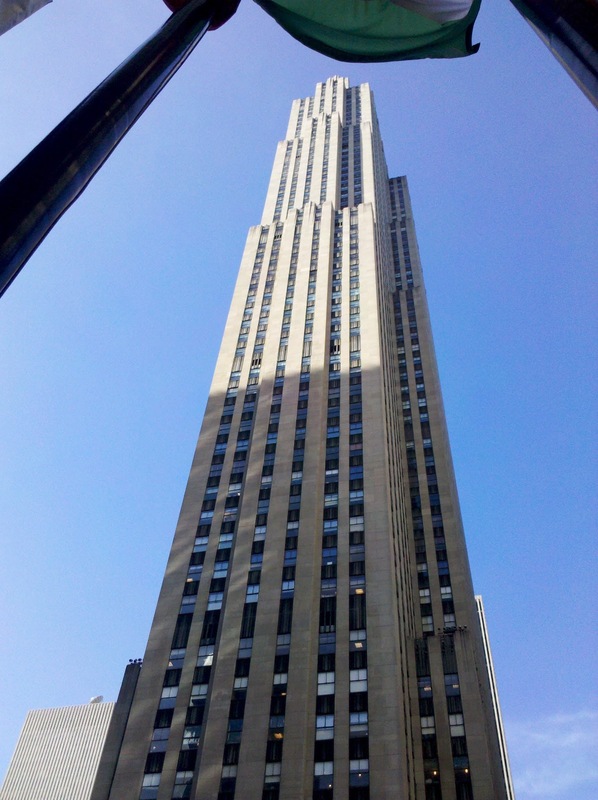 Look at major networks like NBC and CBS, both based in New York! Aspire to be a doctor? Look at some of the hospitals and medical practices here. There’s a bunch of opportunities here. You just have to look! One of these buildings could be your office! So, why should you care about internships? Because when companies look for new hires, they usually look in their own company first. For full-time positions in places like the City Government or NBC, there are usually thousands upon thousands of applications from people that just need a job. Companies usually look at their own interns first because they’re familiar with them. They know how capable their own interns are. Now just remember; it will be hard work. Most internships are unpaid, and if you have to take public transportation, you’ll find yourself in financial trouble pretty quick. You’ll also find yourself overwhelmed and confused on what to do more often than not. Just remember that you just have to get through this, and then you’re one step closer to your dream job! 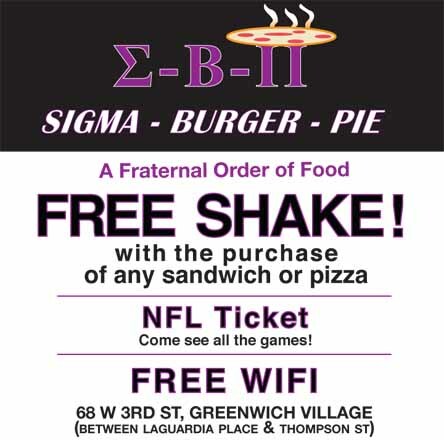 Then you can celebrate with a pizza and a free milkshake! Have You Checked Out our New Book Yet? The Campus Clipper’s recent publication, the NYC Student Guide, is a must-have for any college student. Whether you’re interested in applying for an internship, scoring cheap Broadway tickets, or finding the best places to eat in the city, the NYC Student Guide can help you! The Guide is filled with over 30 articles, each written by a different student author. Some article titles include: “On Roommates,” “On Studying,” “On Relationships,” and many more. Each article includes beautiful hand-drawn illustrations, also created by students. Finally, the book is light and handy–much lighter than those textbooks you lug around all over campus– so you can carry it with you everywhere. Also unlike a textbook, the Guide is both informative and entertaining to read. The uniquely informal style of our student authors will draw you in. Reading our book is like listening to the advice of a good college friend. Finally, (although our guidebook is useful to students studying across the country) it includes many articles that are specific to New York City. Learn where the best thrift shops are located. Find out how to use the local job-searching site, Jatched.com. Discover new bars and nightly hot spots. Every year, thousands upon thousands of high school graduates, from across the country travel to NYC to study. The myriad opportunities of this city beckon them. Maybe you are one of these students. I was. And if you come armed with the NYC Student Guide, you are sure to make the most of your time here! 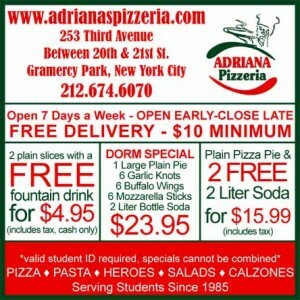 Order your copy of the NYC Student Guide Here! “50/50” is a film based on the real-life experiences of screenwriter Will Reiser that addresses the difficult question of how a young twenty-something deals with a life-threatening illness. The movie is headlined by a pretty impressive cast: Joseph Gordon-Levitt takes the lead as Adam, our tumor-stricken protagonist, and Seth Rogen gives a sweet portrayal of Levitt’s steadfast comic relief of a best friend. Anjelica Huston, one of my favorite women on earth, plays Levitt’s overprotective, smothering mother and Bryce Dallas Howard succeeds in getting the audience to despise her in her role as Adam’s cheating girlfriend. Levitt’s Adam is your everyday guy, 27 years old and working in radio when he learns that the back pain he’s been experiencing is actually indicative of a huge malignant spinal tumor. His life begins to unravel as he accepts his illness, faces chemotherapy, and deals with a girlfriend who says his cancer is “too much” for her. 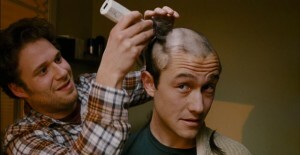 For me, the shining star of the film was Seth Rogen, whose portrayal of Adam’s best friend Kyle is believable, touching, and definitely relatable. I also enjoyed Anna Kendrick’s performance as Adam’s therapist– I’ve always thought she was a great actress. Indeed, in my opinion she was the single best part of “The Twilight Saga: New Moon,” and she didn’t fail to deliver in this film. Her performance was believable, as well as the perfect counterpart to Bryce Dallas Howard’s mean-girlfriend archetype. The film’s real success lies in its delicate balance of humor and drama– corny as it is, I laughed and I cried (mostly cried). The subject of cancer is a sensitive one, and “50/50” deals with the pressures and heartbreak of facing a life-threatening illness gracefully. Without giving too much away, dear readers, I really enjoyed this film. I even recommended it to my mom, (something I wouldn’t normally do with a Seth Rogen film; profanity is not something she appreciates), to whom I found many similarities in Anjelica Huston’s character. I highly recommend a trip to your nearest movie theater, (I went to the one on the corner of 86th and 3rd), with your pockets stuffed with tissues. It’s not the easiest movie to watch, but I think there’s a 90/100 chance you’ll walk out of the theater smiling. And what could complete an evening better than adding dinner to your movie? 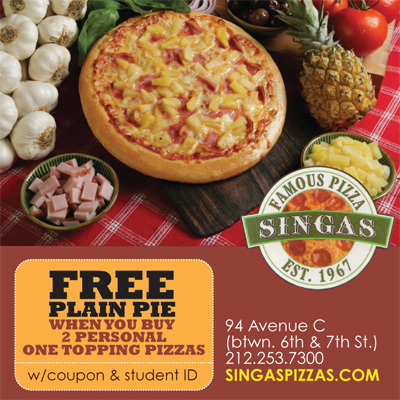 After your film viewing, why not head over to Singa’s for a delicious, (and free), pizza meal with your student ID and this coupon!